Dyson’s V8 cordless vacuum is the latest in a long line of the company’s portable category, and it has a more powerful motor that drives more suction than ever before, as the name implies. 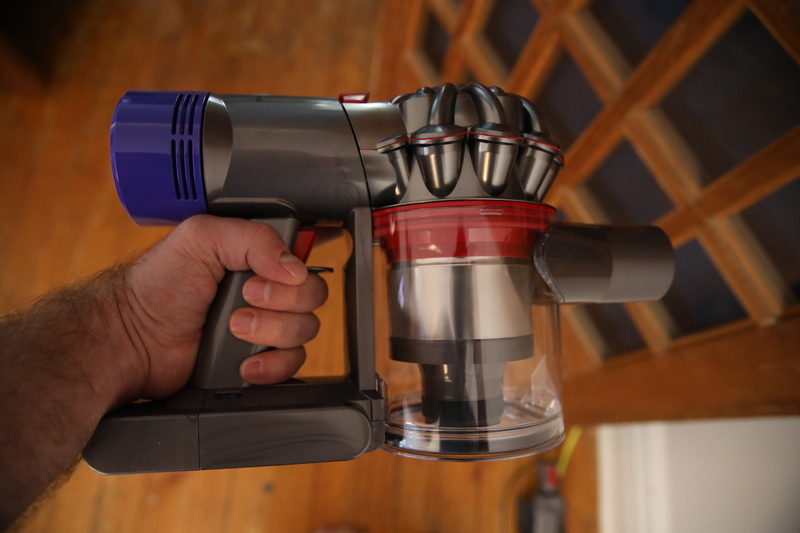 It’s also a premium-priced device, but that suction combined with its battery life and lightweight design make for a pretty unbeatable combo in the vacuum world. The V8 Animal (called the Absolute in the U.S.) has a longer battery life than previous Dyson cordless vacuums, with 40 minutes of run time with most of its attachments, and 25 minutes with the motor-powered floor tool. This should be enough time to clean an entire urban condo or apartment dwelling, with power to spare in many cases. Dyson includes a power boost mode that burns through battery quicker, as it always has with its cordless offerings. This one burns through a full charge in only seven minutes, but the additional power you get is impressive — this is the first cordless vacuum Dyson has built that can manage cleaning my fairly deep-pile area rug, including a considerable backup of dog hair, without requiring multiple passes — it’s a true replacement for many plug-in vacuums, let alone handhelds, in this regard. The power boost comes with a bit larger main body, and two filters instead of three to manage versus older-generation handles, but if you’re already finishing one and leaving it overnight to dry it’s not that much extra effort to rinse the other. On balance, the power benefits of the V8 definitely outweigh the minor added heft they bring. The V8 isn’t just good at its most basic job of sucking up dirt — Dyson has done a good job of making sure its convenience features really make the whole job of cleaning up easier. These include a host of attachments in the bag, which are great for use everywhere, from in the car, to hardwood floor, to furniture upholstery and more. The best new feature for cleaning convenience might be the redesigned bin ejector, which pushes dirt out without much chance of it blowing back up and spreading around outside your trash bin as you do so. The new bin design is similar to the one featured on Dyson’s new canister vacuum, but specifically designed for the portable form factor. This results in a much tidier bin emptying process overall, which is a welcome improvement compared to past generations. Dyson also includes a wall mount for use with the charger, which is a very handy thing if you have a laundry room or closet with power outlets to keep the vacuum tucked away but also charged and ready to go whenever you need it. 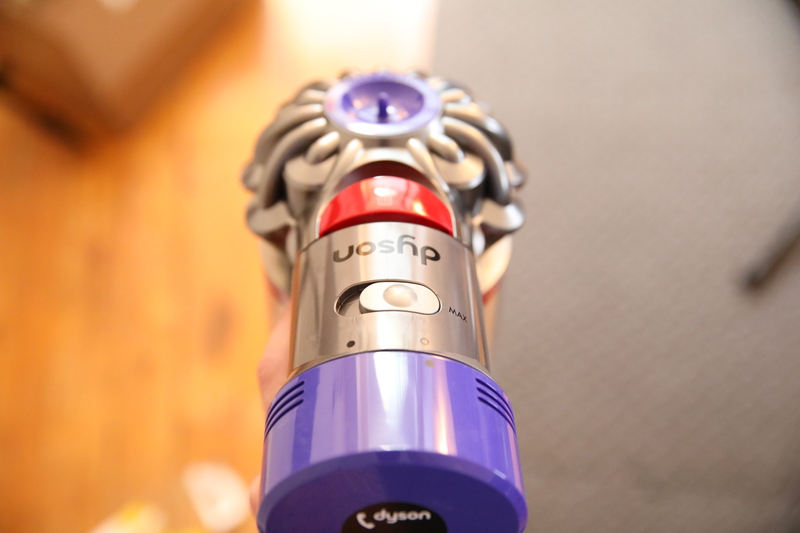 What the Dyson V8 accomplishes better than any other portable vacuum out there is being a good all-around vacuum, which you can use like a full-size or like a handheld, without much in the way of compromises in either case. It’s a top-tier vacuum, to be sure, at $599 U.S. ($599.99 CAD for the V8 Animal, tested), but one that achieves better than any before the goal of replacing your plug-in with a completely cordless vacuum you can use anywhere.